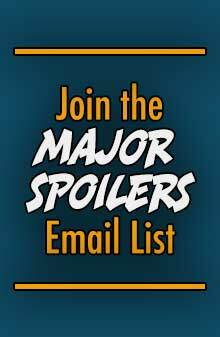 This week on the Major Spoilers Podcast, Matthew, Stephen, and two special guests will be on hand to talk everything Legion of Super-Heroes.Â With a full rich history, and several reboots, we want you to sound off. 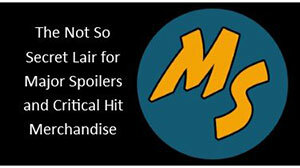 What are your favorite, and least favorite, moments from Legion Lore.Â You can use the comment section below, drop us a voice mail by calling (785) 727-1939, or record your comments and send an email to podcast@majorspoilers.com. 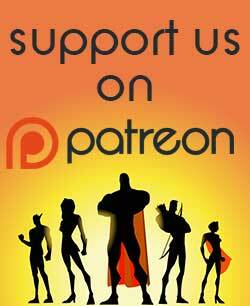 We record the new show Tuesday night, so make sure you have your contribution to us by 5:00 PM CST. I’ve been one of those off and on fans of the Legion of Super-Heroes. I read a lot of Giffen’s series in the 80s and stopped after a while and then got back into it during the Chris Sprouse series (I loved his character designs). I finally got back into it when Mark Waid started up the current series and I’ve been with it ever since. I really wish DC would just leave these characters alone, let a writer and artist team to run with them for a long run and see what happens. I had hoped Jim Shooter’s return would have been that moment, but I forgot to factor in the Didio-factor. I’m looking forward to this upcoming episode of the show! i started reading with the reboot of 2004 and loved every issue. had to drop it after a year or so and it was almost heartbreaking. i loved the idea of a mega team with so many different characters and powers. at that time i didn’t realised who Mark Waid was but loved his writing. i might get the trades eventually. I liked the proto-reboot Andromeda and the SW6 Andromeda but not so much the reboot Andromeda. Princess Projectra and Sensor Girl rocked, but I hated Sneckie. I cried a little, on the inside, when reboot Element Lad killed Monstress. They were such a cute couple. I liked the current team with the exception of the whole Atom Girl thing. 5YL Legion makes me laugh everytime I think about it. Who would have thought the look of the future would be not jumpsuits but ruffles! Please, don’t forget to mention the SUBS! And Matter-Eater Lad! Why not Lester Spiffany, or Arm-Fall-Off Boy, while you’re at it? I’ll be looking forward to it. As a young fan of the Legion it’s always hear from fans who have supported the series. Arm Fall Off Boy will be touched on. My main time with the Legion was between 1983 and 1988. I started paying attention again after stumbling on the cartoon not long after it was canceled. What put me off most mainstream superhero titles in the first place, back in the day, was all the Secret-Infinite-Crisis-Wars shtick that nine times out of ten did nothing to improve the quality of regular titles and everything to alienate me from the companies that engineered this stuff. They weren’t going to be happy until I bought everything, so I rebelled by cutting them off completely. Looks like nothing much changed in the last two decades, apart from prices going up and even more T&A, the latter aspect being even more depressing than the former. That said, I checked a few of the Waid/Kitson books out of the library recently, and didn’t hate them;Apparently this is fairly unusual for a long-time fan from the Levitz era. I didn’t love everything about them, but I didn’t hate them. Can’t really pick a most-favorite or least-favorite, since I was out of the loop for so much of it. Still, it would be sort of hideous and hilarious at the same time if the Smallville appearance brings in a bunch of new fans– After DC seems hell-bent on proving again and again that on paper or on the air, Legion is the very last thing they want to keep as a going concern.